The motivating host of one of the nation's largest leadership conferences offers a collection of inspirational and applicable life lessons through conversations with various high-profile people. One Question invites you to peer over the shoulder of a master interviewer with access to today's best and brightest as he delivers carefully crafted questions and collects answers guaranteed to surprise, challenge, and inspire. This classic motivational parable (over 500,000 copies sold worldwide) shows you how to make your own opportunities in life. Ever since its first printing in 1921, The Go-Getter has inspired employees and entrepreneurs to take initiative, increase their productivity, and excel against the odds. 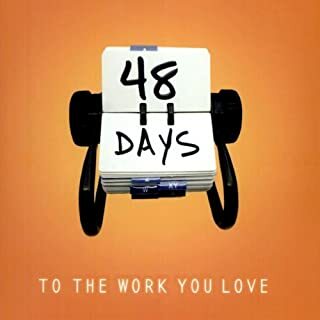 In this audiobook, Bill Peck, a war veteran and double amputee, not only fights to find employment, but continually proves himself more than competent at the many difficult tests that are thrown his way. Boomers are realizing that a lot of the things they were promised aren't going to materialize, and they have started second and third careers. Technology has given access to an unprecedented number of people who are building online empires and changing their lives in ways that would have been impossible years ago. The days of "success first, significance later" have ended. While none of the stages can be skipped, they can be shortened and accelerated. There are only two paths in life: average and awesome. The average path is easy because all you have to do is nothing. The awesome path is more challenging, because things like fear only bother you when you do work that matters. The good news is Start gives listeners practical, actionable insights to be more awesome, more often. The overall ratings tell the Truth! Would you consider the audio edition of Start to be better than the print version? 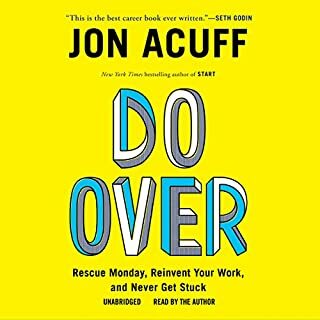 John Acuff's personality and lighthearted approach brings the process of reinventing yourself into view much better than the print version. The path to starting anew is not rocket science and the "One-Star" people are looking for the easy path that doesn't exist. The practical aspects of how to grow and develop are just that; practical. It isn't some voodoo like message of just believe and your dreams will come. They won't unless you get up and start taking action to improve your life and achieve your dreams. I went down the road to awesome once and it was awesome, at 47 I needed someone to say it is ok to start again. The difference is that at 22 most people are protected by their family and loved ones to start. In your 40s, most people feel that they should have figured it out. Start gives you the understanding that you can start again and you don't have to really go back to 22, you already have the knowledge and experience that the last 47 years have told you about where awesome is in your life, you just have to live it. What did you learn from Start that you would use in your daily life? To stop listening to the voices in my head. The fears and lies they tell do hold you back. Get them out into the open and you do see the absurdity of them. The second things is that most of the answers you are looking for are right there in front of you, but you can't step back far enough to see them. Don't complicate the process, you don't have to 'start with the end carved in stone'. Start with your life today and move toward what you truly enjoy doing, everything will just start to fall into place. What disappointed you about Start? Listening to an audiobook is one of the easiest ways a person can attain information, yet this audiobook somehow managed to make it feel like a chore.I really hoped to hear some useful ways to turn my work and experience into something greater than myself, i.e. "Do work that matters." Unfortunately START was so suffocated by pointless lackluster stories and name dropping that I completely lost track of why I purchased it in the first place (So you were on the news... Am I supposed to care? And what does that have to do with the purpose of this book again? ).More importantly, Acuff as the narrator is the worst! His delivery reminds me of that cliche friend we all have, the one who thinks he's absolutely hilarious, reciting movie quotes and poor impressions, and we all just nod and put up with it because we've been friends since childhood. If I wanted a poorly written comedy, I would have purchased something by Tyler Perry. If I wanted adventure stories of an entrepreneur, I would have purchased Richard Branson's memoir. 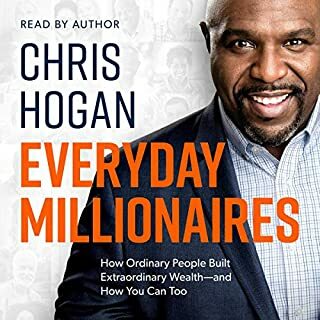 Stripped of all the filler, this book would be a pamphlet long, maybe a few paragraphs, or even just a quote that read, "Do you want to live an average life, or an awesome one? "For a book that claimed to "Punch Fear in the Face!" START delivered like a weak jab that missed the mark. Has Start turned you off from other books in this genre? Turned me off from this genre? No. START's poor performance just made me more wary of my selections in the future. I will ABSOLUTELY listen to a sample reading before purchasing another book of this kind. If I had listened to a sample of START before purchasing, I'd still have $13.95 in my pocket. I appreciate Acuff's energy, but there's an unearned sense of overconfidence in his voice. If the material or substance was there to back it up, I'd be all for his delivery, I'd even give the tales of his "awesome life" a chance. Instead, I felt like I was listening to a D-list comedian trying to woo an empty night club. Maybe add some canned laughter or crickets in the background? You can use that zinger in your next book Jon. There were a few nuggets of actual useful material in the book, but really only stemmed from one basic concept: do you want to live an awesome life or average? Unfortunately anything redeeming was buried so deep under a thick gloss of pointless nostalgia and name dropping that I'd lose interest and tune out. I can't tell you how many times Acuff would be submerged in another story about how "awesome" his life is, and I'd think, "What the hell is he talking about? What does this have to do with anything? That really doesn't sound that awesome to me at all." I'm sure Acuff is the coolest/smartest guy he knows. Unfortunately his material isn't. Jon's voice in my ear was like a guardian angel whispering truth about fear through honesty! Jon's wisdom took me through the 5 lands of Awesome and got me off the couch of average!! Say yes and click the "buy now button" ... He was wise to be the voice of his own book, not someone else just reading without the passion necessary to make this book come alive! I loved this book! I listened to it 3 times & learned something new everytime! It's clean language. 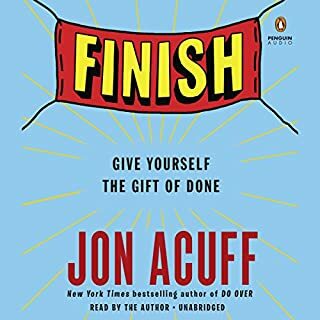 Would you try another book from Jon Acuff and/or Jon Acuff? Would you recommend Start to your friends? Why or why not? He is full of youthful energy. He does share tried and true advice, that is a good refresher. Nothing really earth shattering. I don't usually write reviews, but this book appears to largely be a personal EGO trip for the author. It is full of self aggrandizing stories of handing out his latest book on a plane, to shopping for makeup before he goes on national TV. There is little depth here... I did appreciate his youthful "I can do anything" energy as he recited old advice I have already garnered from other tried and true authors. Fun & Funny! Great quick listen, Worth it! Yes! 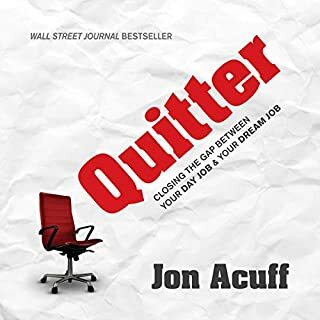 It is read by the author Jon Acuff and he is absolutely fun and relatable! I enjoyed every minute I listened to him. What other book might you compare Start to and why? I just finished The Power of Habit by Charles Duhigg and it was the perfect follow up to that audiobook. They are similar in the sense that you are in control of your own domain, but I learned from Habit why I choose what I choose, and I learned from Start, how to choose what I want to choose. So they compliment each other. Both are a life process and neither is a quick fix to anything. Loved both! Have you listened to any of Jon Acuff’s other performances before? How does this one compare? No, but I will now. Not really, the entire book was worth the listen! 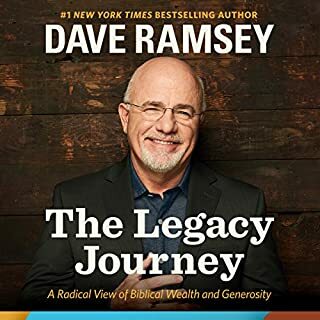 I heard about this book from the EntreLeadership Podcast and am glad I did! The book was not for me, I read a lot of books with the same idea. It gets a time when you are full of this kind of stuff. If you need some push to start get it, otherwise forget it. Sounded like a punk kid, and nobody wants to take advice from a punk kid. Very disappointing in that the author states clearly that you can make your dreams come true - maybe - if you only devote 20 hours a week to it for 10 years. He is also very boastful about his accomplishments, which to me is a turn-off. There is nothing but common sense advice in here and again, you should start young, because it is no easy road to achieving your dreams. Great content infused with stories, concepts and humor. I would recommend this book for individuals looking for encouragement in pursuing their endeavours of interest. Jon Acuff hit this one out of the park ! I have been paid as a public speaker for speaking at a state college, been a peer councilor overseeing many high school students while responsible for taking them across state lines for field trips that lasted for days on end, and loved every minute of it while integrating them into different college environments... I now work retail... I have repentantly been invited to teach a Financial Peace University class at a prision to teach men and women how to be financially free and responsible while practicing good spending habits once released. Admittedly I was, for some strange reason, a little slow to act on taking the opportunity to teach until I listened to this audio book. 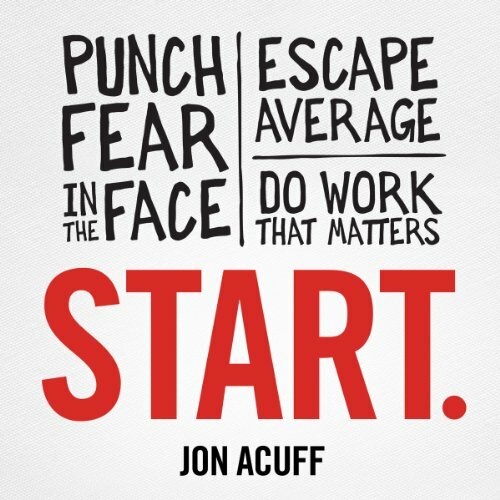 Jon Acuff rekindled the flame with in to make me want to find my awsome again! Thank you Mr. Acuff! You are truely AWSOME! Authors are not always the best people to narrate their own books. Fact. Here is a case in point. Maybe the paperback's really good, I don't know. But the audiobook is so rushed that it's almost impossible to get anything from it. The author / narrator starts off by telling you how each section is supposed to have action points and questions for you to go through to put his pearls of wisdom into practice. But he felt that it ruined the "flow" of his narration, so he's left all that stuff to the end. Listen to the whole thing first, then take action. In doing so he's totally missed the point of how people use this kind of book. He whizzes through the book at such a pace, without pausing, that you can't actually take it all in anyway. Then if/when you do stick it out all the way to the end, he does the exact same thing with the action points and questions. Problem is that they're not put into context, so when he says something profound like "write a paragraph describing your secret self" you're thinking... "wait... what exactly is my secret self again?". Except if you're anything like me you really can't bring yourself to go back hunting through the audio to find out. Add to that the super-helpful advice to "punch fear in the face". Well that's all very well but seriously, deeply ingrained personal fears about oneself do not, in practice, simply bugger off because you metaphorically punched them! I suspect that many people who click the "buy" button for this book will be left thinking "well how the heck do I do that?". Listen to Stephen Covey, Brian Tracey et al. Different ball park altogether. I had high hopes for this book but it fell way short of the mark. I might even ask for my money back. Sorry & all that but very disappointing. Good content with very little ‘fluff’. Main negative would be at the end in the ’to do’ section it was very rushed. Very motivational, inspiring and challenging at the same time. Just as good as 'Quitter' which I am listening to at the moment. Full of practical wisdom. struck in a rut? going round in circles? Get Start and you will get started. Jon Acuff is always a great read. I thoroughly enjoyed this book and can't wait to read do over. Has Start put you off other books in this genre? What didn’t you like about Jon Acuff’s performance? What character would you cut from Start?